While autism in humans is a recognized condition, canine autism is debatable. While there is research that suggests dogs can be autistic, studies are not definitive and some experts suggest autism in dogs is not a real condition. Research has, in fact, suggested dogs can show some form of autism spectrum disorder. In people, autism includes impairments in social communication and repetitive behavior. The curiosity of whether dogs could suffer from autism in the same way humans do began in 1966 and research has continued since. 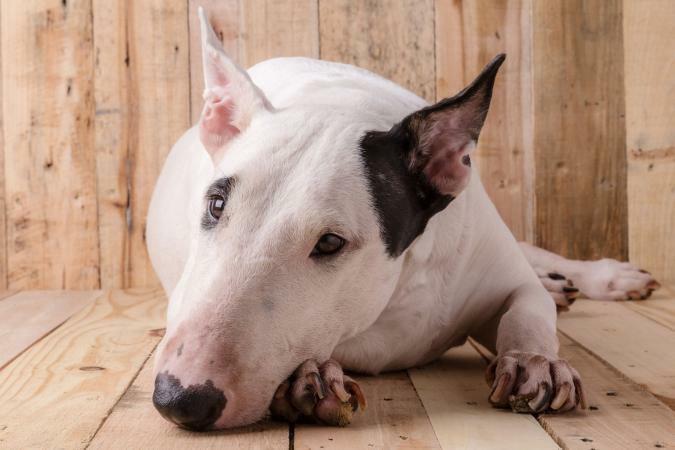 In 2015, the medical journal Translational Psychiatry presented a study which linked tail chasing in bull terriers to autistic qualities. This study concluded repetitive tail chasing could be a sign of autism. Further research is necessary regarding autism in dogs to understand the condition. Animal experts do not know the cause of autism in dogs. At this point, scientists believe canine autism could be a hereditary or genetic condition. The lack of a particular type of neuron in the brain may be the ultimate cause; however, scientists are still conducting research in this area. Other studies have determined unnecessary vaccinations or exposure to toxins may be at fault for autistic behavior in dogs. Owners will typically notice symptoms of autistic behavior in puppies. You may notice your puppy being unable to communicate or play with his littermates. Puppies with autistic tendencies also appear not to be interested in any interactive play. This may result in difficulty throughout the training process. Since more research is needed, there is no definitive test to identify whether or not a dog has autism. The most a veterinarian or behavior specialist can say is a dog may have autism if your dog displays unusual behavior that may represent traits of a dog with autism. The veterinarian will take a look at the dog's history and may refer you to a canine behaviorist to dig deeper. A canine behaviorist will compare your dog's behavior to normal behavior for this breed. However, it is important to understand not all professionals agree dogs can have autism. 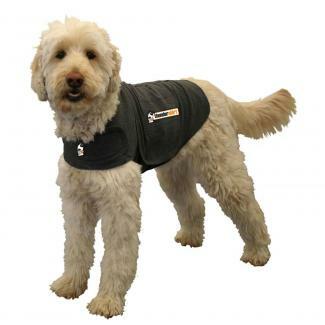 ThunderShirt: The ThunderShirt 'hugs' your dog, applying gentle pressure to her body, which has been proven to reduce feelings of anxiety in both dogs and cats. ZenCrate: The average crate provides a 'safe zone' for your dog. However, the ZenCrate takes this a step further; it comes with an orthopedic mattress to ensure your dog is comfortable in his crate. 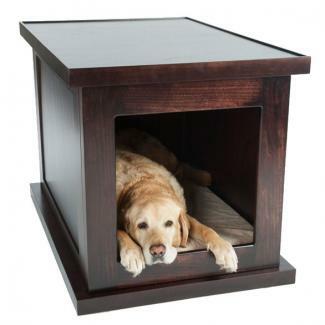 Once your dog enters this crate, a motion detector initiates soft music to help reduce canine anxiety. If the power happens to go out, there is a battery backup system. The crate is equipped with sound insulation to reduce noise outside the crate. Finally, if you want to give your dog some space, there is a feature inside the crate which allows you to connect your smartphone to the crate and watch your dog from afar to ensure she is doing well. Exercise: All dogs require exercise and may develop anxiety without the proper amount of exercise. However, for dogs with autistic characteristics, regular exercise is critical. Dogs displaying autistic symptoms are likely to have reduced levels of anxiety when exercised. It is important to remember all dogs are unique and may require a different treatment. If you believe your dog has autism, the process of identifying likes and dislikes will still be the same as it is with other puppies. However, the process may take more time. Remember to remain patient and calm while interacting with your dog.